LOADED! Flying Spur Speed! 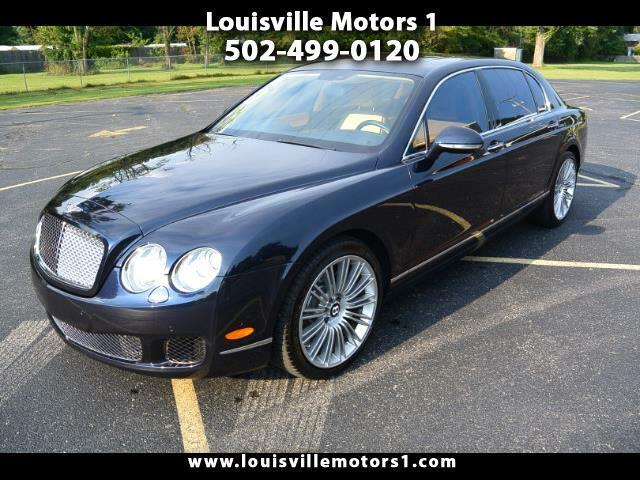 This 2011 Bentley Flying Spur Speed is LOADED and ready for a new home! Blue exterior with tan leather interior and woodgrain trim. Well maintained, brand new tires, keyless entry, push-button start, back-up camera, rear heated seats, massage chairs, navigation, telematic system, sunroof, and more! This Flying Spur Speed has it all! Come by and see our premium selection of gently used vehicles today!! !